Guests who travel to central and northern Greece have the opportunity to visit the beautiful Sporades Islands. Sporades include Skiathos, Skopelos, Alonissos and Skyros, which are destinations of unique natural beauty and tranquility. Surrounded by rich vegetation, they offer the visitor moments of relaxation and quiet away from the intense rhythms of everyday life. Skyros belongs to the Sporades and is located in the northeast of Evia. It is a beautiful island, with authentic character, natural beauties and excellent tourist organization ideal for enjoyable holidays of calm and relaxation. The Sporades is a beautiful island complex in the northeastern part of the Aegean Sea and is also a part of the prefecture of Magnesia. The islands attract a large number of tourists every year from around the world. The crystal clear blue waters of the Aegean Sea, the fantastic sea caves and the hot summer sun will make your holidays in the Sporades truly unforgettable. The Sporades consist of Skiathos, Skopelos, Alonissos and Skyros. In all of the above islands there is a dense vegetation which together with the blue sky and the sea creates a terrestrial natural paradise. Alonissos offers unique moments of tranquility and is the refuge of the rare Mediterranean seal species “Monachus-Monachus”. Skopelos is a traditional island with sandy beaches and crystal clear sea, surrounded by greenery, providing quiet and relaxing holidays as well as fun. 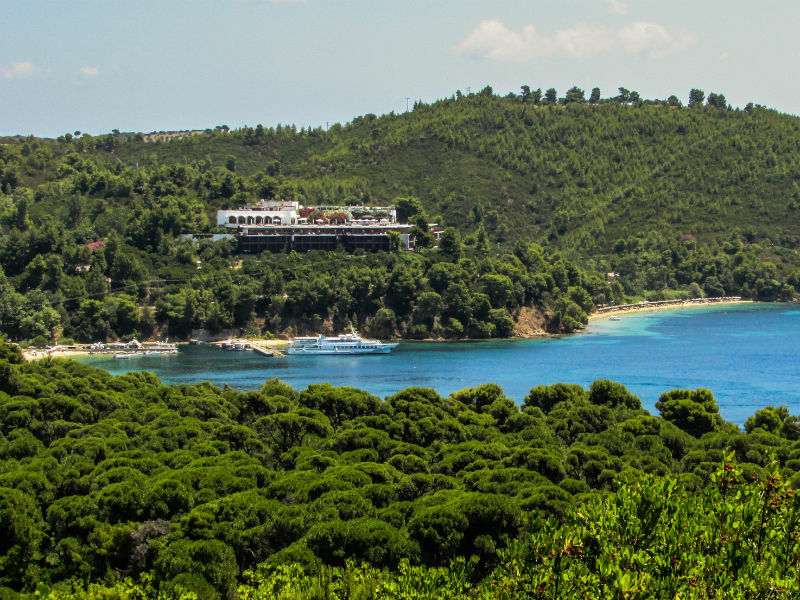 Skiathos is a cosmopolitan island with intense nightlife and endless sandy beaches. It is located in the western part of the Sporades and is one of the most popular destinations. It is easily accessible to those who are in the prefecture of Magnesia because it is connected by boat to the port of Volos. The quietest holiday will take you to Skyros, which geographically belongs to Evia island. Nature’s friends can enjoy the sandy beaches of the island and the crystal clear seas and enjoy endless walks amongst the lush scenery of the island. All the islands offer unique beauties, offer an appropriate stay and fun, but always retain their traditional character and customs of the place. Wonderful beaches, an amazing water park and many walking paths make Alonissos a destination for a quiet holiday, sophisticated and eco-friendly. The beautiful Alonissos belongs to the Sporades complex of islands and is one of the last ecological paradises of the Mediterranean. It is separated from Skopelos by the Alonissos Strait and from the islet of Pelagonisi, with the Pelagonisi Strait. Natural beauties, scenic landscapes, a combination of green and clean sea, religious and historical monuments, appropriate tourist infrastructure and intense nightlife. It is the closest island to the mainland and is located near the southern coasts of Pelion, Volos and Euboea island. The island is full of dense pine forests and olive groves that reach its shores. Skopelos is one of the most beautiful islands of the Sporades, but also of the entire Aegean sea. 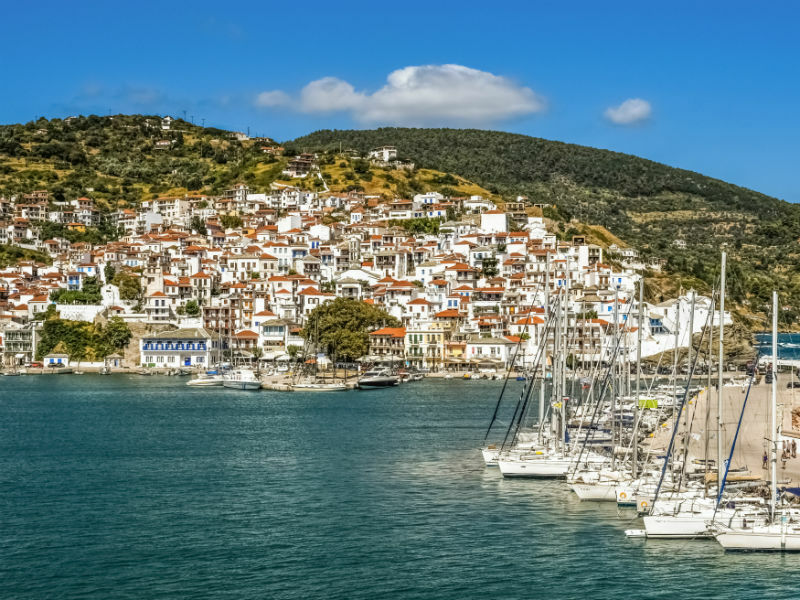 Popular but not overcrowded, the green Skopelos has the proper infrastructure and natural beauty to win you at first glance. The island offers a vibrant nightlife with a wide range of choices. The largest and southernmost island of the Sporades offers quiet holidays, rich tradition and untouched landscapes. Skyros has a particular, contradictory charm. The island seems to have two completely different faces: half is green and the other half is wild and rocky.